Our Westcliff Business Degree (Bachelor of Business – BBA) program, whether taught via online or hybrid platform, leads undergraduate students onto the next step in their business careers. At Westcliff University, BBA students become knowledgeable about a wide variety of disciplines, including finance, accounting, marketing, operations, sales, and information technology. Equally important, we teach business from a global perspective. Our curriculum focuses on companies based both in the U.S. and abroad. Our professors, all of whom are senior managers in their respective fields, partner with BBA students to develop their verbal and written communication skills. Students lead group discussions and make presentations in class, and are encouraged to share their distinct perspectives. Students also learn how to present their ideas professionally so that hiring managers really see what they have to offer. Learning how to think critically, analyze data, and problem solve are integral components to an Westcliff Business Degree (Bachelor of Business BBA) degree. The mission of the Bachelor of Business Administration program is to teach students core foundational concepts, preparing the students to succeed in their professional careers. The program empowers them to use relevant business knowledge, think critically, solve problems, communicate, and make decisions in an ethical and professional manner. in entry-level positions in various industries of budgeting, accounting, payroll, personnel, computer systems, risk management, facilities planning and management. The performance outcomes which are required for the completion of the program include: class participation, response to discussion questions, writing research papers, presentations, case study analyses, quizzes, mid-term and final examinations (Comprehensive Learning Assessments). Westcliff University wants to produce capable and knowledgeable students who manifest an understanding of work and careers and an ability to adapt quickly to the expectations of employers and the work environment. To this end we strive to realize the following set of program outcomes for all our undergraduate Business Majors. The BBA program consists of a program requirement of 120 credit hours, of which 60 may be associated with general education courses, and 60 are required to be associated with specific business courses. A key component of the BBA at Westcliff University is the flexibility which is offered to the students. A student may transfer up to 60 general education credit hours to Westcliff, in addition to 30 credit hours for the BBA business curriculum courses. Alternatively, the student may take all general education and all business courses at Westcliff, or a student may elect to take only the general education courses, or only the business oriented courses. In any option, 54 of the 60 general education credit hours must have academic content. The General Education courses at Westcliff are structured to provide a coherent, integrated introduction to the breadth of knowledge students will need to help them develop intellectual skills that will enhance their professional, civic, and personal life for years to come. Students will learn how to analyze the world around them from different perspectives, how to communicate their ideas and understand the ideas of others, how to solve problems, and how to apply their knowledge to real-world projects. BUS 358 Fundamentals of Human Resource Management. The BBA program consists of a program requirement of 120 credit hours, including 60 credits of Core Business Courses and 60 credits of General Education Courses. 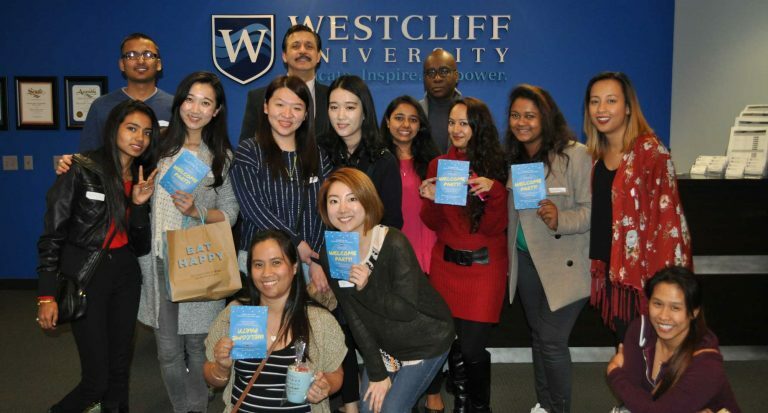 Students may complete their entire 120 credit BBA program by taking all 60 General Education and 60 Core Business Course credits at Westcliff University. Alternatively, students may transfer up to 60 general education credit hours to Westcliff from another accredited school. Additionally, students may be granted course waivers for up to 30 credit hours of the required BBA Core Business Courses. In any option, 54 of the 60 general education credit hours must have academic content. Please refer to the Transfer Credit and Course Waiver Policies for more detailed information and requirements. Students must apply for graduation and meet all academic and financial requirements. This course seeks to develop skills in perception, comprehension, and appreciation when dealing with a variety of visual art forms. It encourages the close analysis of visual materials, explores the range of questions and methods appropriate to the explication of a given work of art, and examines the intellectual structures basic to the systematic study of art. Most importantly, the course encourages the understanding of art as a visual language and aims to foster in students the ability to translate this understanding into verbal expression. This course provides an overview of the basic concepts of communication and the skills necessary to communicate in various contexts. Emphasis is placed on communication theories and techniques used in interpersonal group, public, intercultural, and mass communication situations. Upon completion, students should be able to explain and illustrate the forms and purposes of human communication in a variety of contexts. This course is an introductory writing course designed to improve critical thinking, reading, and writing skills. Students progress from personal expressive writing to text-based expository essays appropriate for an academic audience. Students develop strategies for turning their experience, observations, and analyses into evidence suitable for writing in a variety of academic disciplines. This course covers real numbers and their properties; linear equations and inequalities in one variable; linear equations in two variables and their graphs; exponents and polynomials; special products and factoring; rational expressions; systems of linear equations; radicals, absolute values, and rational exponents; quadratic equations, functions, and inequalities; exponential and logarithmic functions; nonlinear systems; and sequences and series. This course examines the major political, economic, social, and cultural developments in the United States from its colonial origins to the present day. Topics include colonial development, revolution, U.S. Constitution, economy, Industrial Revolution, Great Depression, Progressive Era, major wars, and political, cultural, international, and social changes throughout United States history. This course is an introduction to literature which offers students the opportunity to read, discuss, and analyze a wide variety of poetry, fiction, and drama. Students will work on developing their writing and oral communication skills as they learn about literary genres. Through exposure to a wide range of human expression, students will learn to compare and contrast the attitudes and values of specific historical periods and diverse cultures. This course focuses on how the world’s population impacts the globe. It investigates the diverse patterns of human settlement, development, and movement on earth, which evolved as a result of cultural and environmental factors. Emphasis is placed on understanding global population and migration patterns, language, religion, ethnicity, political and economic systems, development issues, agriculture and urbanization. This course explores the origins and development of the earliest complex human societies, namely those of Mesopotamia, Africa, Egypt, Greece, Rome, and China. Focus is placed on the nature of these societies, analysis and interpretation of their basic institutions, their religions and world views, and their cultural histories. A great deal of emphasis is placed on comparisons of other world civilizations and cultures with modern society. This course examines the major teachings, beliefs, and devotional practices of the world’s major religions, including views of the absolute, ceremonial rituals, sacred experiences, and prevalent stories. Religions covered in this course include: Hinduism, Buddhism, Jainism and Sikhism, Daoism and Confucianism, Shinto, Judaism, Christianity, Islam, and various alternate paths. This course aims to strengthen students’ abilities to identify, analyze, and evaluate formal and informal arguments in professional and everyday discourse. Students will learn to distinguish valid from invalid arguments, identify bias and evaluate evidence in arguments, respond reflectively to arguments, and generate well formed arguments of their own. Emphasis will be placed on applying these skills to evaluating real world arguments and solving real world problems from a variety of points of view. This course is an introductory study of the cultural, political, and economic interactions among states and non-state actors in global politics. Focus is placed on the interactions among international actors: states, international organizations, and transnational groups. Special attention is paid to key issues, including national interest, international security, power, foreign policy decision-making, and the role of diplomacy in promoting cooperation. This course provides an introduction to American politics. It centers on the fundamental role played by the institutions of American government including Congress, Presidency, Federal Judiciary, and Bureaucracy in understanding political dynamics in the United States. The course also examines the mediating role of organizations such as interest groups, the news media, and political parties. Common themes at both the national and state levels will be explored. This course focuses on the key political, social, economic, and cultural changes that occurred in world history from 1500 to the present, with attention to cultural comparisons over time, and to the impacts of global interdependence upon economies, cultures and geopolitics. Topics include the rise of land and sea empires, epidemic diseases through history, revolutionary ideologies and new labor and social relations, the cultures of colonialism and neo-colonialism, the technologies of world wars, and the rise of global production and consumer markets. This course is an introduction to human psychology and behavior. The course covers the historical, physiological, and social influences on behavior, and includes topics such as the biology of behavior; sensation and perception; consciousness; learning and memory; cognition; motivation and emotion; personality and social behavior; stress and adjustment; persuasion; problem solving; and decision-making. This course introduces students to the central issues in the basic areas in human development. Students will progress through the seven stages of life: infancy; early childhood; middle and late childhood; adolescence; early adulthood; middle adulthood; and late adulthood. The course will explain relationships between physical, cognitive, psychosocial, and emotional aspects of development. This course focuses on basic concepts, research, and theories involved in increasing the understanding of human behavior and human societies. Utilizing a sociological perspective, the interrelations among human societies, individuals, organizations, and groups are analyzed. Topics of analysis include culture, social interaction, social institutions, social stratification, deviance, culture, community, and various social change strategies. This course introduces the principles and concepts of biology. Emphasis is placed on basic biological chemistry, cell structure and function, metabolism and energy transformation, genetics, evolution, classification, organisms, biodiversity, plant and animal systems, ecology, and other related topics. Upon completion, students should be able to demonstrate understanding of life at the molecular and cellular levels as well as be able to demonstrate comprehension of life at the organismal and ecological levels. This course introduces basic principles of ecology- the study of relationships among living organisms, their environment, and each other. Focus is placed on ecological concepts applied to individuals, populations and communities of both plants and animals. Topics include plant and animal adaptations to the environment, the role environmental factors in the distribution and abundance of organisms, the dynamics of population growth, species interactions including competition and predation, and the structure of ecological communities. This course serves as an introduction to and covers broad aspects of environmental science. Specifically, this course examines the environmental impact of population growth on natural resources; mineral and resource extraction; water resource use and water pollution; air pollution and climate change; renewable and non-renewable sources for power generation; and risks associated with population growth in a developing world. This course explores Earth’s physical systems, their dynamic processes, and surface expressions. Particular emphasis is given to developing an integrative view of how atmospheric, hydrologic, geomorphic, and biotic processes control the patterns of climate, water, landforms, soils, and biota across a local-to-global continuum. Those physical elements that influence and/or are influenced by people are the primary focus of study. This course addresses the foundations of business administration. This course is a study of an introduction to the business world. Focus is placed on the identification, analysis, and integration of business, procedures, and policies with strategic planning in relation to the environment, organization and the individual. This course introduces the basic concepts and techniques of financial accounting, including financial statement preparation, the accounting system, generally accepted accounting principles, and an introduction to financial statement analysis. This course applies economic principles and methodologies to business decision problems relating to costs, prices, revenues, profits, and competitive strategies and provides an analytical base for study of the corporate strategy process. Students will focus on study of public, business choices. For example, consumers decide how much of various goods to purchase, workers decide what job to take & business people decide how many workers to hire and how much output to produce. This course focuses on macroeconomics and the factors that deal primarily with aggregates (total amount of goods & services produced by society) and absolute levels of prices. It addresses issues such as level of growth of national output (GNP & GDP), Interests rates, unemployment and inflation. This course emphasizes on selecting the appropriate information, organization, and style to communicate effectively to a specific audience such as a supervisor, colleague, or client. Group work skills will also be emphasized, and students will be introduced to the Internet as a research tool, as well as introduced to some useful business software. This course offers a detailed study of the nature of contracts, torts, and criminal law and their applications in business organizations, personal property, real property, and commercial transactions. A focus will be placed on interpreting the law through existing case studies. This course provides students with an introduction to the world of Statistics. Students will be introduced to descriptive statistics, probability and application, probability of random variables, and inference. This course examines critical personal characteristics of organizational members to see how these factors influence the effectiveness of organizations and their members. Special attention is then given to the role of teams in organizations, the stages of team development, and actions that can support the development of effective teams. This course serves as an introductory course to understanding organizational behavior. This course inspires those in leadership positions in your organization to motivate, delegate, communicate and build the team for success. This course contributes to technical and professional preparation in Marketing, written and oral communication skills, understanding the global impact on business organizations, ethics in business, legal issues in organizations, role of cultural diversity in business, and the dimensions of quality in organizations. This course examines the tools and techniques used in the world of finance. Students will be introduced to financial institutions, financial concepts and nomenclature. The course will introduce the student to such key financial concepts such as time value of money, cost of capital, asset valuation, ratio analysis, and risk and reward tradeoff. This course introduces the concepts related to information technology and its role in making business more efficient. Students will be introduced to the history and evolution of computer hardware, software, databases, e-commerce, and several other information technologies. A focus will be placed on understanding the IT strategy of a business. This course explores human reasoning and decision making abilities. The course is intended as a survey of new research in these areas. We will also explore parallels between reasoning and decision making. This course focuses on operations management as the systematic direction and control of the processes that transform inputs into finished goods or services. Students will learn that operations management is one of the primary functions of a business. This course is intended to provide managers in all functional areas with sufficient knowledge to make informed “total business decisions” and to introduce standard terms and concepts for communications with operating personnel. This course examines the sales function, personal selling, and sales management principles. Students will evaluate the development of professional sales techniques, creation of sales objectives and strategies, selection, training, compensation and motivation of the sales force, and use of technology in the contemporary sales function. This course examines the fundamentals of organizing a small business. It covers such topics as the challenges of entrepreneurship, building the business plan, strategic planning, forms of ownership, marketing, pricing, cash flows, financial planning, execution, looking at ethical and legal concerns, and regulatory environment. This course examines marketing principles and planning factors and techniques applied in a global environment. In addition, problems of marketing internationally and methods of alleviation will be studied. This course focuses on the principles and background of advertising, advertising campaigns, and types of advertising. Special emphasis is given to the social, legal, planning and creative aspects of advertising. This course focuses on the application of both qualitative and quantitative research methodology to the solution of marketing questions. Students will study the role of marketing research and will be involved in the design, execution, analysis, and implementation of a complete research project. This course is a capstone course for the undergraduate business school students and will be structured around a framework of measurement principles covered throughout the program offered at Westcliff University. 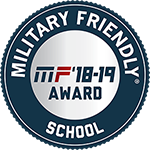 Each student will be required to use different methods and principles that are learned in this program as a foundation for their final project of the program.